Non-supersymmetric Grand Unified SO(10) × U(1)PQ models have all the ingredients to solve several fundamental problems of particle physics and cosmology — neutrino masses and mixing, baryogenesis, the non-observation of strong CP violation, dark matter, inflation — in one stroke. The axion — the pseudo Nambu-Goldstone boson arising from the spontaneous breaking of the U(1)PQ Peccei-Quinn symmetry — is the prime dark matter candidate in this setup. We determine the axion mass and the low energy couplings of the axion to the Standard Model particles, in terms of the relevant gauge symmetry breaking scales. We work out the constraints imposed on the latter by gauge coupling unification. We discuss the cosmological and phenomenological implications. G. Ballesteros, J. Redondo, A. Ringwald and C. Tamarit, Unifying inflation with the axion, dark matter, baryogenesis and the seesaw mechanism, Phys. Rev. Lett. 118 (2017) 071802 [arXiv:1608.05414] [INSPIRE]. G. Ballesteros, J. Redondo, A. Ringwald and C. Tamarit, Standard Model-axion-seesaw-Higgs portal inflation. Five problems of particle physics and cosmology solved in one stroke, JCAP 08 (2017) 001 [arXiv:1610.01639] [INSPIRE]. T. Yanagida, Horizontal symmetry and masses of neutrinos, Conf. Proc. C 7902131 (1979) 95 [INSPIRE]. M. Fukugita and T. Yanagida, Baryogenesis without grand unification, Phys. Lett. B 174 (1986) 45 [INSPIRE]. S.M. Boucenna and Q. Shafi, Axion inflation, proton decay and leptogenesis in SU(5) × U(1)PQ, arXiv:1712.06526 [INSPIRE]. H. Fritzsch and P. Minkowski, Unified interactions of leptons and hadrons, Annals Phys. 93 (1975) 193 [INSPIRE]. R.N. Mohapatra and G. Senjanović, The superlight axion and neutrino masses, Z. Phys. C 17 (1983) 53 [INSPIRE]. R. Holman, G. Lazarides and Q. Shafi, Axions and the dark matter of the Universe, Phys. Rev. D 27 (1983) 995 [INSPIRE]. B. Bajc, A. Melfo, G. Senjanović and F. Vissani, Yukawa sector in non-supersymmetric renormalizable SO(10), Phys. Rev. D 73 (2006) 055001 [hep-ph/0510139] [INSPIRE]. G. Altarelli and D. Meloni, A non supersymmetric SO(10) grand unified model for all the physics below M GUT , JHEP 08 (2013) 021 [arXiv:1305.1001] [INSPIRE]. K.S. Babu and S. Khan, Minimal nonsupersymmetric SO(10) model: gauge coupling unification, proton decay and fermion masses, Phys. Rev. D 92 (2015) 075018 [arXiv:1507.06712] [INSPIRE]. C.S. Fong, D. Meloni, A. Meroni and E. Nardi, Leptogenesis in SO(10), JHEP 01 (2015) 111 [arXiv:1412.4776] [INSPIRE]. N.G. Deshpande, E. Keith and P.B. Pal, Implications of LEP results for SO(10) grand unification, Phys. Rev. D 46 (1993) 2261 [INSPIRE]. N.G. Deshpande, E. Keith and P.B. Pal, Implications of LEP results for SO(10) grand unification with two intermediate stages, Phys. Rev. D 47 (1993) 2892 [hep-ph/9211232] [INSPIRE]. S. Bertolini, L. Di Luzio and M. Malinsky, Intermediate mass scales in the non-supersymmetric SO(10) grand unification: a reappraisal, Phys. Rev. D 80 (2009) 015013 [arXiv:0903.4049] [INSPIRE]. G.K. Leontaris, N. Okada and Q. Shafi, Non-minimal quartic inflation in supersymmetric SO(10), Phys. Lett. B 765 (2017) 256 [arXiv:1611.10196] [INSPIRE]. J.C. Pati and A. Salam, Lepton number as the fourth color, Phys. Rev. D 10 (1974) 275 [Erratum ibid. D 11 (1975) 703] [INSPIRE]. G. Senjanović, SO(10): A Theory of fermion masses and mixings, hep-ph/0612312 [INSPIRE]. L. Di Luzio, Aspects of symmetry breaking in Grand Unified Theories, Ph.D Thesis, SISSA, Trieste, Italy (2011), arXiv:1110.3210 [INSPIRE]. K.S. Babu and R.N. Mohapatra, Predictive neutrino spectrum in minimal SO(10) grand unification, Phys. Rev. Lett. 70 (1993) 2845 [hep-ph/9209215] [INSPIRE]. A.S. Joshipura and K.M. Patel, Fermion masses in SO(10) models, Phys. Rev. D 83 (2011) 095002 [arXiv:1102.5148] [INSPIRE]. A. Dueck and W. Rodejohann, Fits to SO(10) grand unified models, JHEP 09 (2013) 024 [arXiv:1306.4468] [INSPIRE]. J. Chakrabortty et al., Roadmap of left-right models rooted in GUT, arXiv:1711.11391 [INSPIRE]. J.S. Bell and R. Jackiw, A PCAC puzzle: π 0 → γγ in the σ-model, Nuovo Cim. A 60 (1969) 47 [INSPIRE]. K. Fujikawa, Path integral measure for gauge invariant fermion theories, Phys. Rev. Lett. 42 (1979) 1195 [INSPIRE]. P. Fileviez Perez and H.H. Patel, The electroweak vacuum angle, Phys. Lett. B 732 (2014) 241 [arXiv:1402.6340] [INSPIRE]. C.A. Baker et al., An improved experimental limit on the electric dipole moment of the neutron, Phys. Rev. Lett. 97 (2006) 131801 [hep-ex/0602020] [INSPIRE]. T.W. Donnelly et al., Do axions exist?, Phys. Rev. D 18 (1978) 1607 [INSPIRE]. J.E. Kim, Natural embedding of Peccei-Quinn symmetry in flavor grand unification, Phys. Rev. D 26 (1982) 3221 [INSPIRE]. Ya.B. Zeldovich, I.Yu. Kobzarev and L.B. Okun, Cosmological consequences of the spontaneous breakdown of discrete symmetry, Zh. Eksp. Teor. Fiz. 67 (1974) 3 [INSPIRE]. A.R. Zhitnitsky, On possible suppression of the axion hadron interactions (in Russian), Sov. J. Nucl. Phys. 31 (1980) 260 [INSPIRE]. C.Q. Geng and J.N. Ng, The domain wall number in various invisible axion models, Phys. Rev. D 41 (1990) 3848 [INSPIRE]. G. Lazarides and Q. Shafi, Axion models with no domain wall problem, Phys. Lett. 115B (1982) 21 [INSPIRE]. F. del Aguila and L.E. Ibáñez, Higgs bosons in SO(10) and partial unification, Nucl. Phys. B 177 (1981) 60 [INSPIRE]. Super-Kamiokande collaboration, K. Abe et al., Search for proton decay via p → e + π 0 and p → μ + π 0 in 0.31 megaton · years exposure of the Super-Kamiokande water Cherenkov detector, Phys. Rev. D 95 (2017) 012004 [arXiv:1610.03597] [INSPIRE]. A. Arvanitaki, S. Dimopoulos, S. Dubovsky, N. Kaloper and J. March-Russell, String axiverse, Phys. Rev. D 81 (2010) 123530 [arXiv:0905.4720] [INSPIRE]. A. Arvanitaki and S. Dubovsky, Exploring the string axiverse with precision black hole physics, Phys. Rev. D 83 (2011) 044026 [arXiv:1004.3558] [INSPIRE]. A. Arvanitaki, M. Baryakhtar and X. Huang, Discovering the QCD axion with black holes and gravitational waves, Phys. Rev. D 91 (2015) 084011 [arXiv:1411.2263] [INSPIRE]. V.V. Dixit and M. Sher, The futility of high precision SO(10) calculations, Phys. Rev. D 40 (1989) 3765 [INSPIRE]. Hyper-Kamiokande Working Group collaboration, K. Abe et al., A long baseline neutrino oscillation experiment using J-PARC neutrino beam and Hyper-Kamiokande, arXiv:1412.4673 [INSPIRE]. 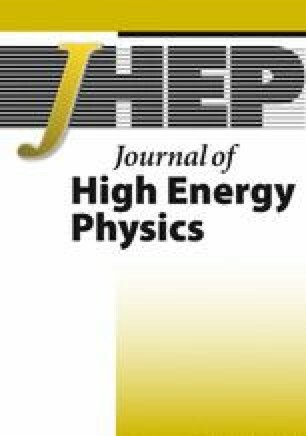 K. Saikawa, Axion as a non-WIMP dark matter candidate, talk given at the 2017 European Physical Society Conference on High Energy Physics (EPS-HEP 2017), July 5-12, Venice, Italy (2017), arXiv:1709.07091 [INSPIRE]. A. Ringwald and K. Saikawa, Axion dark matter in the post-inflationary Peccei-Quinn symmetry breaking scenario, Phys. Rev. D 93 (2016) 085031 [arXiv:1512.06436] [INSPIRE]. D. Budker et al., Proposal for a Cosmic Axion Spin Precession Experiment (CASPEr), Phys. Rev. X 4 (2014) 021030 [arXiv:1306.6089] [INSPIRE]. I. Stern, ADMX status, PoS(ICHEP2016)198 [arXiv:1612.08296] [INSPIRE]. W. Chung, CULTASK, The Coldest Axion Experiment at CAPP/IBS in Korea, PoS(CORFU2015)047. MADMAX Working Group collaboration, A. Caldwell et al., Dielectric haloscopes: a new way to detect axion dark matter, Phys. Rev. Lett. 118 (2017) 091801 [arXiv:1611.05865] [INSPIRE]. E. Armengaud et al., Conceptual design of the International AXion Observatory (IAXO), 2014 JINST 9 T05002 [arXiv:1401.3233] [INSPIRE]. M. Beltrán, J. García-Bellido and J. Lesgourgues, Isocurvature bounds on axions revisited, Phys. Rev. D 75 (2007) 103507 [hep-ph/0606107] [INSPIRE]. M.P. Hertzberg, M. Tegmark and F. Wilczek, Axion cosmology and the energy scale of inflation, Phys. Rev. D 78 (2008) 083507 [arXiv:0807.1726] [INSPIRE]. K. Abe et al., Letter of intent: The Hyper-Kamiokande Experiment — Detector design and physics potential, arXiv:1109.3262 [INSPIRE]. S.M. Barr and D. Seckel, Planck scale corrections to axion models, Phys. Rev. D 46 (1992) 539 [INSPIRE]. M. Kamionkowski and J. March-Russell, Planck scale physics and the Peccei-Quinn mechanism, Phys. Lett. B 282 (1992) 137 [hep-th/9202003] [INSPIRE]. R. Holman et al., Solutions to the strong CP problem in a world with gravity, Phys. Lett. B 282 (1992) 132 [hep-ph/9203206] [INSPIRE]. B.M. Brubaker et al., First results from a microwave cavity axion search at 24 μeV, Phys. Rev. Lett. 118 (2017) 061302 [arXiv:1610.02580] [INSPIRE]. D. Alesini et al., The KLASH proposal, arXiv:1707.06010 [INSPIRE]. G. Rybka et al., Search for dark matter axions with the Orpheus experiment, Phys. Rev. D 91 (2015) 011701 [arXiv:1403.3121] [INSPIRE]. Y. Mambrini et al., Dark matter and gauge coupling unification in nonsupersymmetric SO(10) grand unified models, Phys. Rev. D 91 (2015) 095010 [arXiv:1502.06929] [INSPIRE]. N. Nagata, K.A. Olive and J. Zheng, Weakly-Interacting Massive Particles in non-supersymmetric SO(10) grand unified models, JHEP 10 (2015) 193 [arXiv:1509.00809] [INSPIRE]. C. Arbelaez, R. Longas, D. Restrepo and O. Zapata, Fermion dark matter from SO(10) GUTs, Phys. Rev. D 93 (2016) 013012 [arXiv:1509.06313] [INSPIRE]. S.M. Boucenna, M.B. Krauss and E. Nardi, Dark matter from the vector of SO(10), Phys. Lett. B 755 (2016) 168 [arXiv:1511.02524] [INSPIRE]. M.E. Machacek and M.T. Vaughn, Two loop renormalization group equations in a general quantum field theory. 1. Wave function renormalization, Nucl. Phys. B 222 (1983) 83 [INSPIRE]. L.J. Hall, Grand unification of effective gauge theories, Nucl. Phys. B 178 (1981) 75 [INSPIRE]. R.M. Fonseca, M. Malinský and F. Staub, Renormalization group equations and matching in a general quantum field theory with kinetic mixing, Phys. Lett. B 726 (2013) 882 [arXiv:1308.1674] [INSPIRE]. S. Bertolini, L. Di Luzio and M. Malinsky, Light color octet scalars in the minimal SO(10) grand unification, Phys. Rev. D 87 (2013) 085020 [arXiv:1302.3401] [INSPIRE]. K.S. Babu and S.M. Barr, Family symmetry, gravity and the strong CP problem, Phys. Lett. B 300 (1993) 367 [hep-ph/9212219] [INSPIRE]. A.G. Dias, V. Pleitez and M.D. Tonasse, Naturally light invisible axion in models with large local discrete symmetries, Phys. Rev. D 67 (2003) 095008 [hep-ph/0211107] [INSPIRE]. K.S. Babu, I. Gogoladze and K. Wang, Stabilizing the axion by discrete gauge symmetries, Phys. Lett. B 560 (2003) 214 [hep-ph/0212339] [INSPIRE]. A.G. Dias, C.A. de S. Pires and P.S. Rodrigues da Silva, Discrete symmetries, invisible axion and lepton number symmetry in an economic 3-3-1 model, Phys. Rev. D 68 (2003) 115009 [hep-ph/0309058] [INSPIRE]. F. Björkeroth, E.J. Chun and S.F. King, Accidental Peccei-Quinn symmetry from discrete flavour symmetry and Pati-Salam, Phys. Lett. B 777 (2018) 428 [arXiv:1711.05741] [INSPIRE]. L. Di Luzio, E. Nardi and L. Ubaldi, Accidental Peccei-Quinn symmetry protected to arbitrary order, Phys. Rev. Lett. 119 (2017) 011801 [arXiv:1704.01122] [INSPIRE].